At one point or another we have had to apologize to someone or someone has had to apologize to us. Forgiving is the process by which we deliberately let go the feeling of resentment or vengeance towards a person or a group of individuals. However, to be able to forgive, we must truly have the urge to let go of what we feel is not right in our soul. This then brings us to the point where we try and figure out how well can we can practice forgiveness. The greatest way to learn how to forgive is to empathize. This practice of empathy is a key element of emotional intelligence in the sense that it’s being aware of other people’s feelings and emotions in each situation. By exercising empathy, we feel what the other individual or group is going through in an imaginary way and then we can act accordingly. By acting rightfully then, we can truly forgive. In addition, we learn not to create a similar situation in the future. Accepting a situation is also another great way to approach forgiveness. In any circumstance where two parties have varying opinions, the first thing to happen is to get the involved parties to see that they are viewing the matter one way, while the other group also views the issue a different way. Similarly, to forgive we must accept that there is a situation and the way the other party views it is different from the way we view it. There are various reasons as to why we view situations in different ways i.e. cultural influences, the environment in which one has grown up, or even religious influence. By accepting such causes then we can forge ahead and forgive or be forgiven. To forgive we need to share what they are going through. It’s a common phrase in our society that, “A problem shared is equivalent to a problem half solved.” Sharing a wrong done to you or your feelings regarding a given situation is important. This may get the involved partly to realize what they have done and work towards asking for forgiveness, but better still, prompt them to learn from what they made you go through. As such you will have killed two birds with one stone; able to speak your mind and accept an apology as well as prevent the other individual from doing harm in the future to someone else. 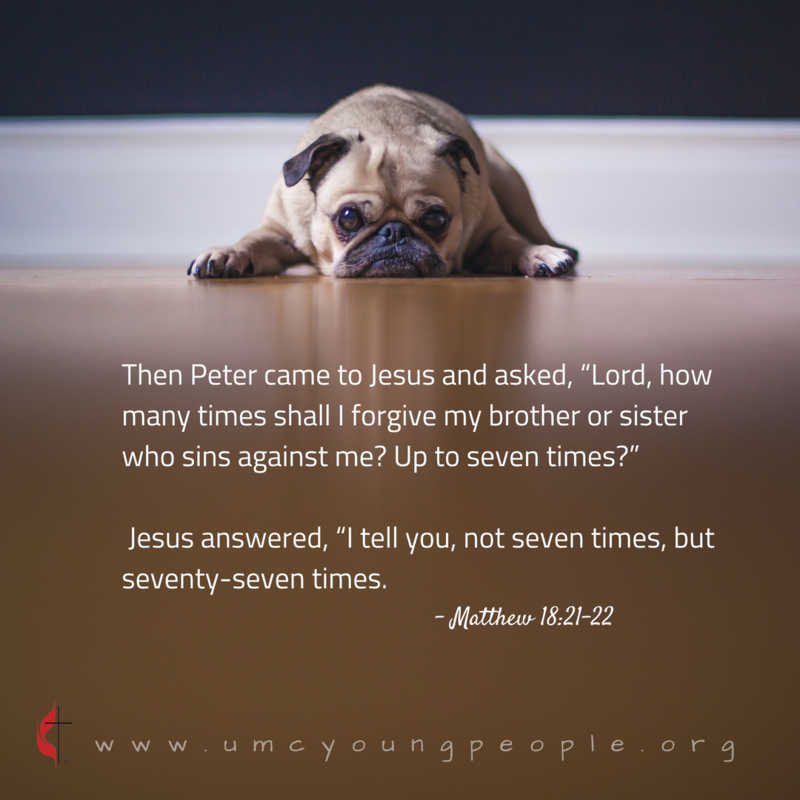 In the book of Matthew 18: 21-22 Peter raises a question as to how many times we should forgive. In his response Jesus replies that it should be seventy seven times. In essence we should forgive as many times as possible. This is only possible if we are able to learn the true art of forgiving. What other behaviors must we learn to help us forgive?